I have just learned of the death of our colleague, Kathleen Heinrich, on December 29, 2016. Kathleen died at home in Connecticut with her husband Chris at her side. She had been diagnosed with ovarian cancer in March, 2015. 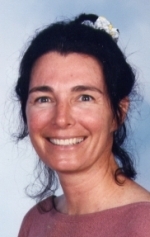 A twice-tenured professor (University of San Diego, University of Hartford), Kathleen left academia in 2004 to establish her own business, KTH Consulting, with a mission “to prepare individuals, colleague-teams, and faculty groups to present, publish and peer mentor each other’s scholarly success.” Testimonials from colleagues who attended her workshops and seminars attest to her creativity, professional support, and collegiality. Kathy had a passion to change the culture of academia and help educators reach their full potential as scholars, teachers, and mentors. Many reading this will be familiar with Kathy as the author of Dare to Share which was published in 2008 by Jones & Bartlett. With Marilyn Oermann, Kathy was a co-editor of the Annual Review of Nursing Education (Springer) for seven years. 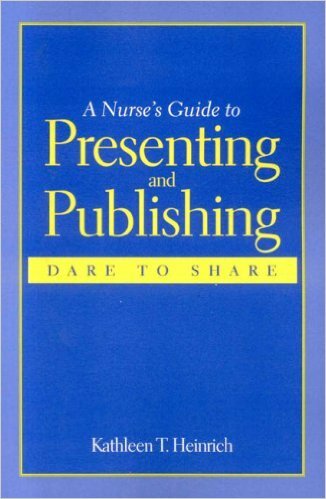 Kathy was a regular contributor to Nurse Author & Editor and a member of the Editorial Board of Nurse Educator. Her article, “Scholarly Joy-Stealing 10 Mean Games Educators Play and How to Imagine Something Different Together” was published in the January, 2017 issue of the journal (vol. 42, no. 1, pp. 1-2). Kathy was a graduate of St. Anselm’s College (BSN, 1973), Boston University (MSN, 1976), and the University of Connecticut (PhD, Higher Education, 1988). She was inducted into the American Academy of Nursing in 2014. On behalf of INANE, I send our deepest condolences and healing thoughts to Kathy’s family and friends. Many of the faculty members at The University of Texas at El Paso School of Nursing considered Kathy a much- loved and respected colleague. Through her keynotes at our conferences, and a two-semester writing seminar in 2013-2014 using Skype, her caring and graciousness as a scholar enriched our lives. Many of the faculty at The University of Texas at El Paso School of Nursing considered Kathy a much- loved and respected colleague. Through her keynotes at our conferences, and a two-semester writing seminar in 2013-2014 using Skype, her caring and graciousness as a scholar enriched our lives. I met Kathy at the Nurse Educators Conference in the Rockies. She presented about increasing zest in the workplace and reducing joy-stealing. After the conference, I found I had additional questions about something she said, so she suggested we put the process into action. I was able to use her strategies to provide feedback on a manuscript she was writing and she contributed the process “Nurse Author & Editor”. What a genuine person and an awesome experience! She cared about the process and about me as a person. She will be missed! I knew Kathy for over thirty years and found her the most extraordinary, passionate and caring person I’ve ever known. As 2017 draws to a close, I want to honor her life in this brief post in memory of times in Connecticut, California, Alaska and Hawaii and all points in between. Kathy was unique in her life, work and spirit, and will be missed keenly.